"It's a beautiful film and should be seen by everyone." 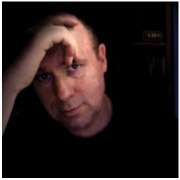 Rob Thompson is noted for engaging audiences with his original take on the issues of our times. He has written and directed numerous internationally recognized productions. Rob has also worked on and contributed to hundreds of other productions in his role as story editor, camera, DOP, editor and composer. Rob's broadcast credits include CBC, PBS, NBC, CTV, History, Knowledge Network, Book TV, and Bravo! His work has been exhibited at festivals around the world including Hot Docs, Sprockets (TIFF), Chicago International Children’s Festival and Yorkton. With a background in the arts, Rob continues to explore and experiment with the medium of video which has included a multi-media production at the National Arts Center Atelier and a musical revue at the 4th Stage. His productions have also appeared in galleries including, The Hague, Eastern Edge and the Ottawa Art Gallery, and he has been screened at the British Film Institute, the Irish Film Centre, and the National Gallery of Art in Washington. Rob is perhaps best known for two projects he wrote and directed, JOURNEY TO LITTLE ROCK, a documentary produced in association with the NFB on social rights activist Minnijean Brown Trickey, and CAGED, an event which garnered international headlines when he offered two people $5,000 to live in a chicken cage for a week in an exploration of the Canadian food industry. 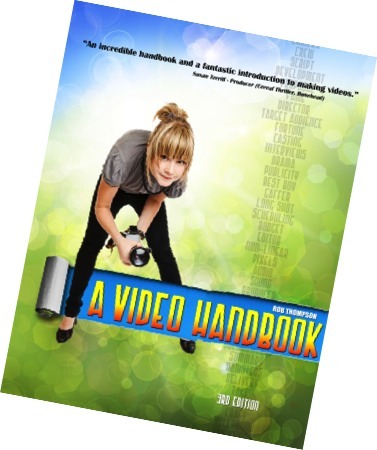 Based on over thirty years of production experience, and the hundreds of production workshops he's given, filmmaker Rob Thompson has distilled all the most important details of video production into a handbook you will find yourself referring to again and again. Not only do you get valuable tips on how to produce your own projects but you'll also get a unique glimpse into the industry and common practices used by independent productions through to Hollywood features. Fantastic! A Goldmine of information! Big results! These are just a few of the comments made by the filmmakers and students alike who’ve benefitted from A Video Handbook. • Just got back from Northern Quebec where I was directing the educational video The Woodland Caribou Project. • Edited a short video for the Victim Services telethon. • Released my latest CD, Russian Revolution. • Finished writing a children's story for GiddyPigs.com. Shooting on James Bay for the documentary, Asserting Eeyou Rights. "I love the song and the video. I watched it about 5 times in a row."